When it comes to Halloween, it is easy to go overboard with decorating. 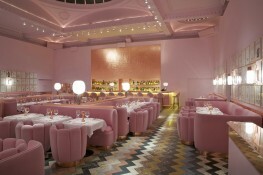 Everything goes for Halloween – this is not a fancy holiday, but one that allows for both elegance and kitsch. But do not complicate it if your time is short. When decorating your house, you can create big effects with a few simple tools and, above all, minimal expenses. 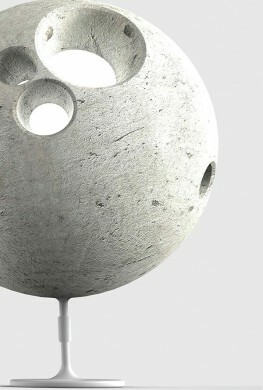 Here are a few ideas to inspire you. 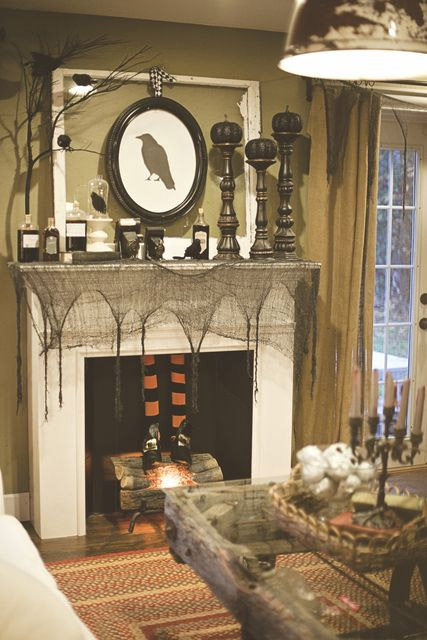 Of course, black feathers and birds are a perfect way to create a creepy setting and are also inexpensive. But do not forget the humble banner. While your decor may suggest it, your banner says it out loud. To create one, all you need is paper, scissors and a printer. Or maybe a good drawing hand if you prefer to write the message yourself. 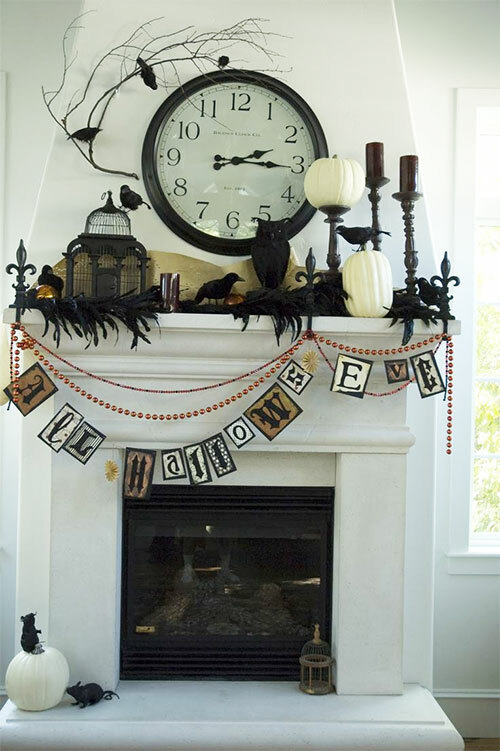 Plus, a banner is easy to store and transport if you ever have to organize a Halloween party away from home. If a banner is too much work for you, put the scissors down and print out a black silhouette on a white sheet of paper. Then frame it and use it to decorate your mantel. Silhouettes are elegant, subtle ways of making a point and a versatile decorating option. 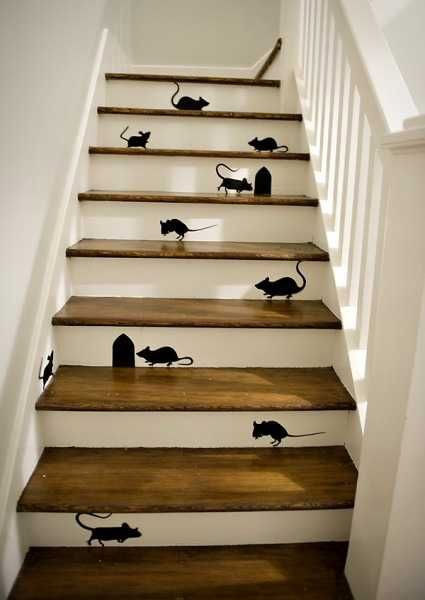 Speaking of silhouettes, do not forget your stairs. If you feel like spending money on decals, go for it. If not, grab those scissors again and cut out some silhouettes printed on paper. Here is an even simpler idea. 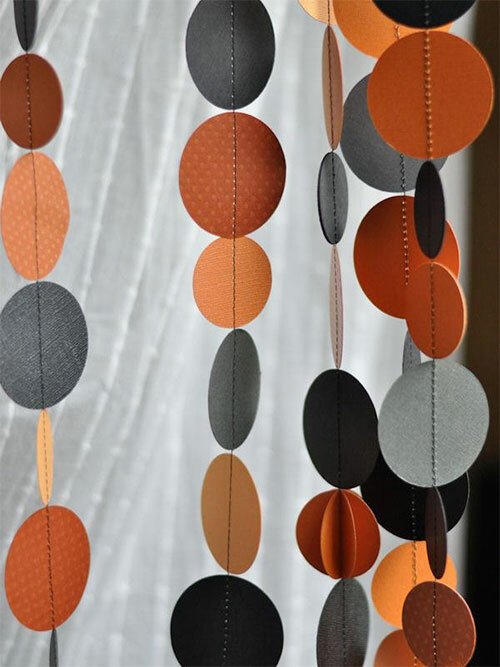 Using black and orange construction paper, cut out circles and make a garland. Garlands are easy to make, easy to store and easy to replace if you are in the mood for something else next year. 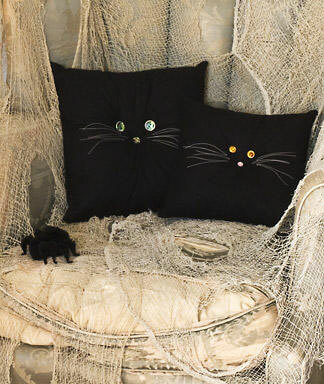 If you want to give your decor a funny twist, think pillows. 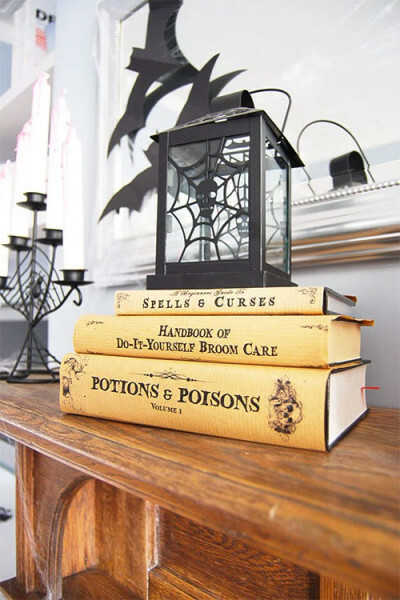 They are the perfect way to change your decor according to the season and that is also true for Halloween. Three buttons, a little yarn and a black pillow cover is all you need for a great conversation piece with a big impact. Finally, don’t forget books, the versatile decorating tools that give you just the right amount of detail. Cover some books in brown packing paper and write or print titles that would fit well in a wizarding school’s library. Here are a few templates you can use. Above all, have fun. Halloween is for thrills and laughter, so keep it simple and enjoy it.